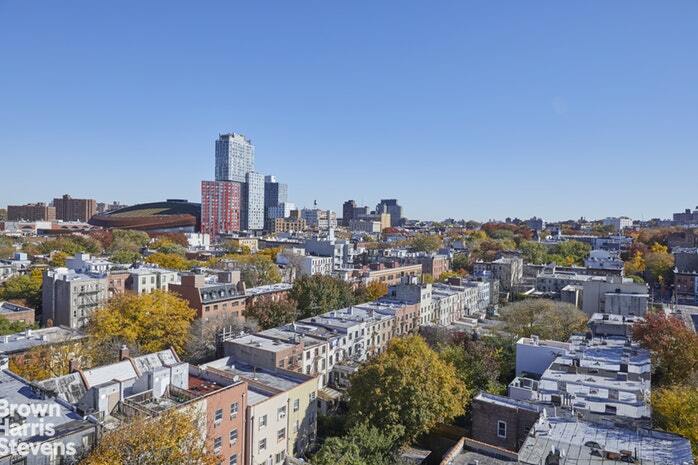 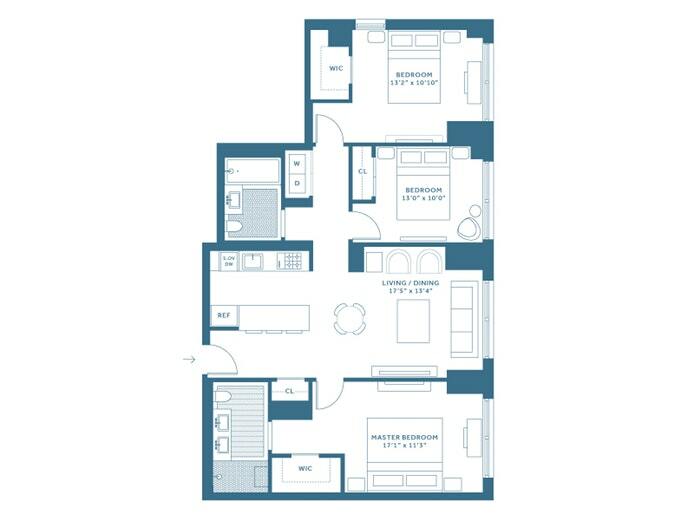 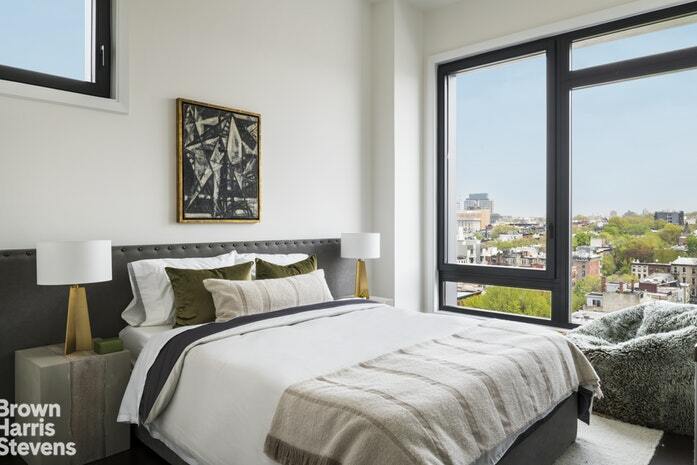 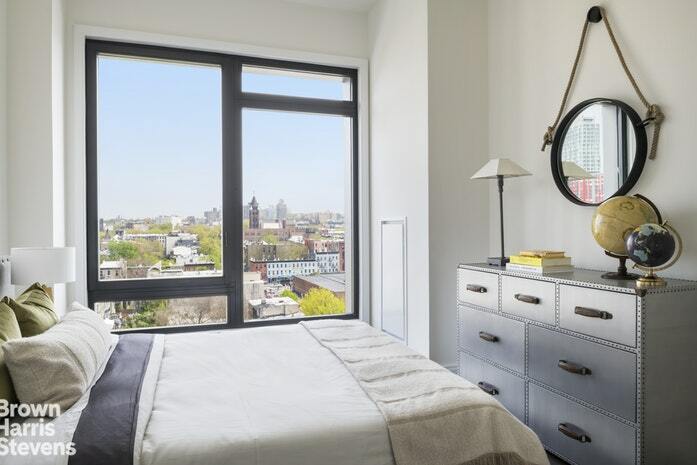 613 Baltic Street, #10A, Brooklyn, NY, New York 11217. 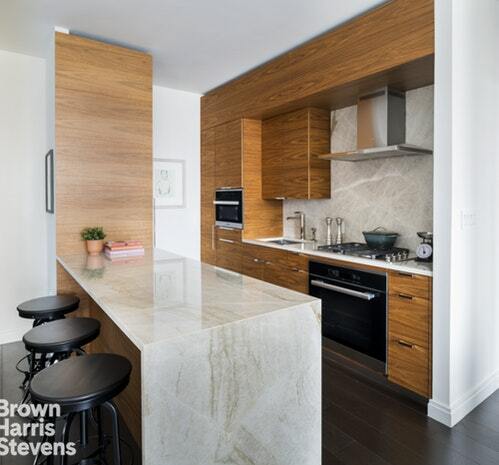 10A is an elegant three bedroom, two bathroom home featuring 7 inch wide plank oak floors, and a Southern exposure. 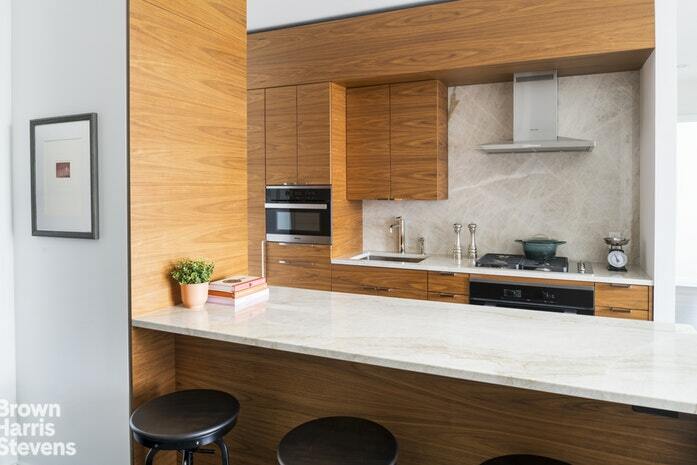 The custom kitchen has been designed by Brookmans, and offers integrated Miele appliances, Waterworks fixtures, and Cristallo gold quartz countertops and backsplash. 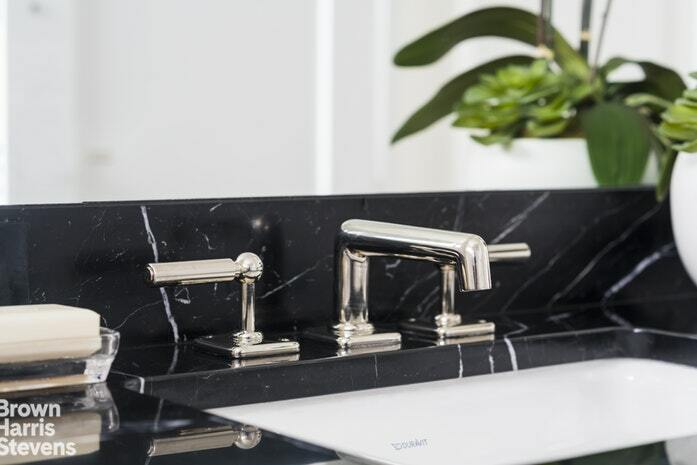 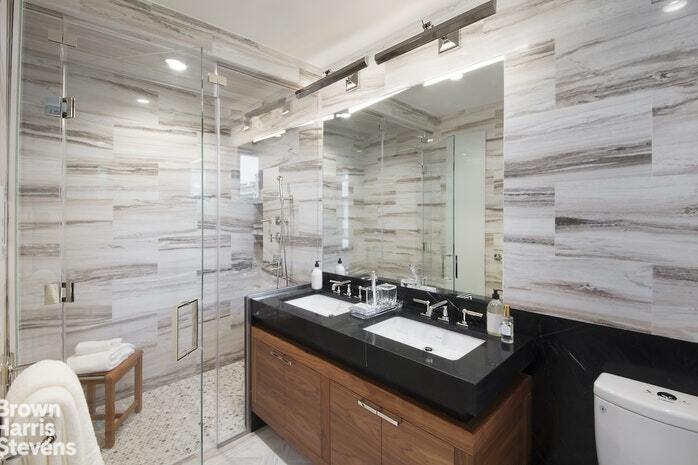 The master bathroom features a steam shower, Waterworks fixtures and radiant heated marble floors. 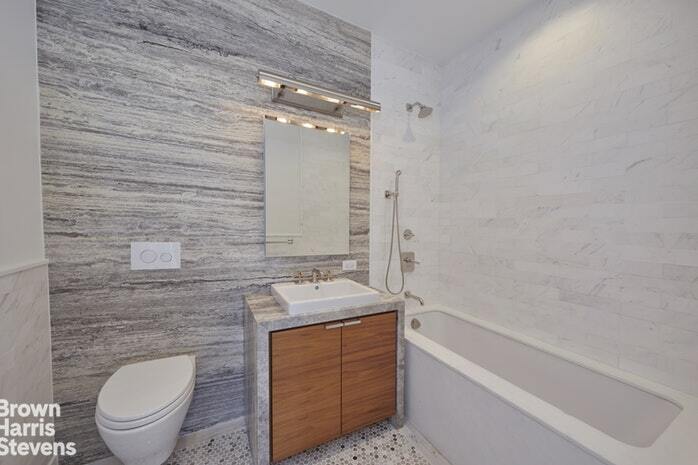 The secondary bathroom has floor-to-ceiling stonework, marble clad deep soaking bathtub, and stone floor. 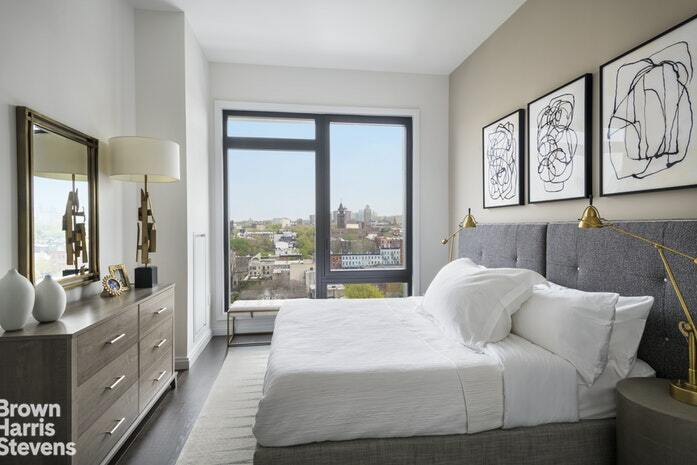 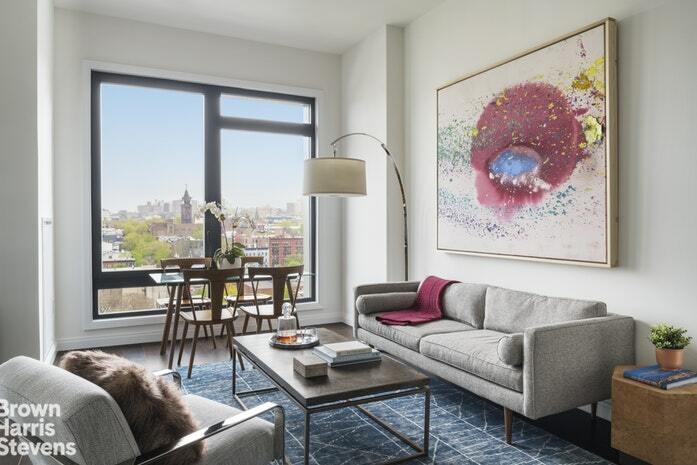 The home is equipped with Bosch washer & dryer, and a smart home Nest thermostat that controls both the central air conditioning and heating system.